Believe it or not, your dentist can discover a lot about your overall health by simply looking in your mouth. It may sound a little creepy, but it’s actually quite interesting how your mouth is a window to the rest of your body. Your oral health can show signs of bad habits and illness. It can be your dentist who first identifies the signs of diseases like anemia or cancer and allow you to seek out early treatment. Here are 7 things your dentist can find out about your health at your next appointment. Your mouth can provide a lot of indicators alerting your dentist that you may be deficient in certain vitamins. Bleeding gums, increased infection, burning tongue syndrome, delayed healing among other conditions can all be caused due to a lack of certain vitamins. Your dentist won’t have to look at your nails to know you engage in this bad habit! Your teeth will do the talking for you. This habit can make your front teeth uneven and crack and chip at the enamel on your teeth. 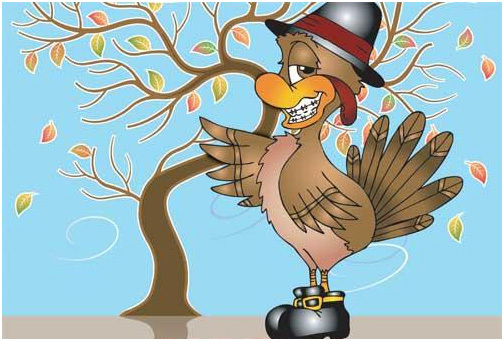 Your nails and teeth will thank you by quitting your nail biting cold turkey! Cancer is never a word you want to hear, but it’s always good to be diagnosed sooner than later. Bleeding gums, patches of discoloration and jaw pain are all symptoms you may have oral cancer, and you should seek treatment immediately. People who are bulimic likely have a unique wear on their teeth that indicates to a dentist an eating disorder. The erosion is usually completely on the tongue side of your teeth and can lead to increased cavities over time. Acid erosion is not always a sign of an eating disorder, but if it is in fact true, your dentist can help you seek additional medical care and support. Something we all try to lie and get away with, but you can’t fool your dentist with this one. We all know how important flossing is, but when it comes to doing it as a part of your daily routine, the task can seem daunting. 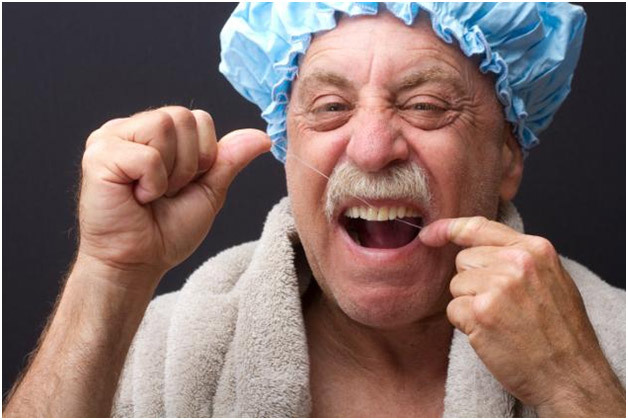 If you think you can get away with flossing right before your appointment, think again. Your red, irritated gums will give it away as soon as you go to open your mouth. If sports drinks and soda are part of your daily diet, your dentist will know. 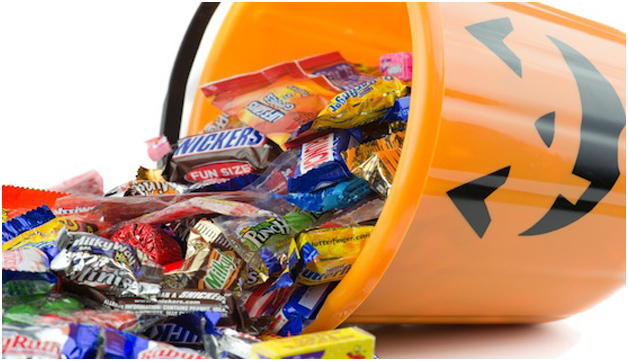 Drinks high in sugar will over time soften your teeth and can decrease the enamel, which can lead to chipped teeth. Cutting down on your intake of these sugary beverages will not only benefit your oral health, but your overall health as well. Next time you go to the dentist, be prepared to find out more than just if you have any cavities. Your dentist has the capability to tell you a whole lot about your health, and inform you of things you should be aware of. Do I really need to use mouthwash? Keeping a healthy dental routine is important, but there can be a lot to remember. Brush twice a day, floss once a day, change out your toothbrush every three months, decide between an electric or manual toothbrush, pick a type of toothpaste with or without whitening, schedule a dentist appointment every six months, wear your rubber bands, don’t forget your retainer… Wheew! The list goes on. One more thing some people like to add to the list is mouthwash. But is it really necessary to add it to your daily routine? What is mouthwash used for? What types of mouthwashes are there? According to the American Dental Association, there are two main kinds of mouthwash to choose from: cosmetic and therapeutic. Cosmetic mouthrinses may temporarily control or reduce bad breath and leave the mouth with a pleasant taste, but they don’t deal with the causes of bad breath. They don’t kill the bacteria that cause bad breath or chemically inactivate odor causing compounds. Also, none of the cosmetic mouthrinses helps reduce plaque, gingivitis or cavities. Therapeutic mouthrinses, on the other hand, can help reduce plaque, gingivitis, cavities and bad breath. Some fight the bacteria present in plaque, a sticky film that forms on teeth and gums. Plaque bacteria create toxins that can damage the gums. Plaque that is not removed with daily brushing and flossing can cause gingivitis, an early stage of gum disease. If plaque is allowed to continue to accumulate, gingivitis can progress to advanced gum disease, called periodontitis. Plaque can also turn into tartar (or calculus), a hard substance that can only be removed during a professional cleaning. Should you brush, floss or rinse first? The sequence in which you brush, floss, and rinse makes no difference as long as you do a thorough job and use quality products. Check the mouthrinse manufacturer’s label for recommendations on how and when to use the product, and look for products that have the ADA’s Seal of Acceptance. So, do I need a mouthrinse? Ask your dentist at your next appointment whether you need a mouthrinse, as it is often dependent on your individual oral health needs. Rinsing is not a substitute for brushing or flossing, however, if you have difficulty brushing and flossing, a mouthrinse may provide additional protection against cavities and periodontal (gum) disease. Contact us if you have further questions. Why do I need to get braces, but other people don’t? One question we often get is, Why do I need to get braces, but other people don’t? You’re not alone. Over four million people in the U.S. wear braces, and 25 percent of these individuals are adults. Issues that require orthodontic attention can be attributed to a number of different factors. Some of these factors are in your control, while others are hereditary. Read on for information on why many people’s teeth grow in crooked and how orthodontics can help. Throughout your childhood, your "baby" teeth fell out one by one, to be replaced by permanent, adult teeth. Although some people's adult teeth grow in at the right angle and with the right spacing, many people's teeth don't. Teeth may grow in crooked, overlapping, rotated, or twisted. Some people's mouths are too small, which crowds the teeth and causes them to shift into crooked positions. In other cases, a person's upper jaw and lower jaw aren't the same size, causing overbites and underbites. The different types of disorders that result from teeth that don’t grow in straight are called malocclusions. This word comes from Latin and means "bad bite." In most cases, a "bad bite" isn't anyone's fault; crooked teeth, overbites, and underbites are often inherited traits, just like having brown eyes or big feet. Many different factors can contribute to the way your teeth grow in. In some cases, things like dental disease, early loss of baby or adult teeth, some types of medical problems, an accident, or a habit like prolonged thumb sucking can cause the disorders. Why are malocclusions a problem? Having crooked teeth isn’t just a cosmetic issue; it can also lead to serious health problems. Interfere with proper chewing. Because chewing is the first part of eating and digestion, it's important that teeth can do the job. Make keeping teeth clean more of a challenge, increasing the risk of tooth decay, cavities, and gum disease. Cause people to feel self-conscious about how they look. Dr. Struble and the team offer several treatment options that can help correct malocclusions. Give us a call at (541) 848-6642 to schedule your complimentary consultation. 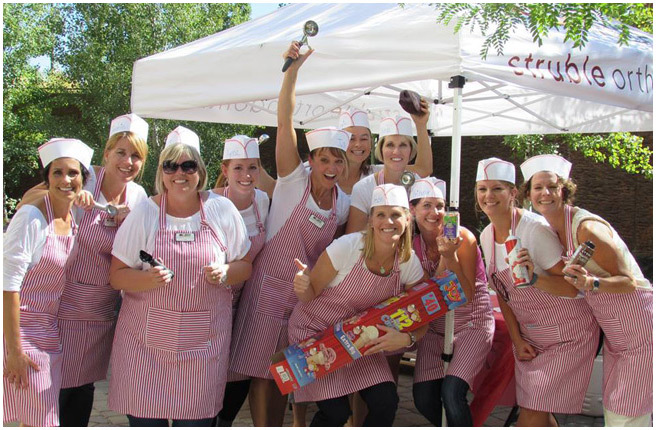 A big thank you (with ice cream) to our patients! The Struble Orthodontics office has been getting a little facelift lately, and we are so excited for it to be complete! 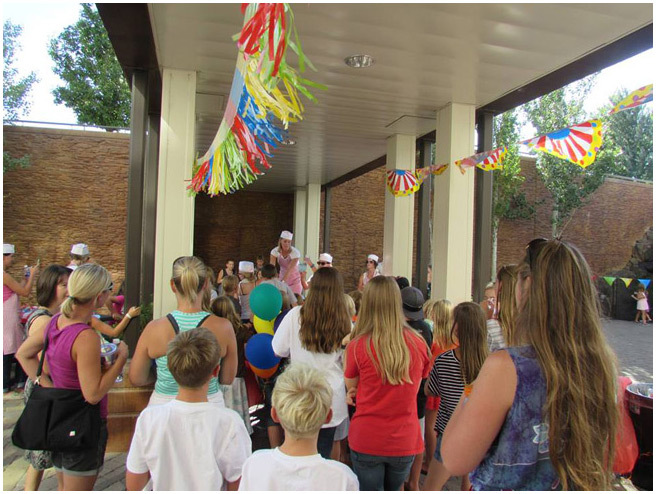 Thank you so much to all who attended our ice cream celebration, and to those who couldn’t make it but have been so kind throughout our remodel. 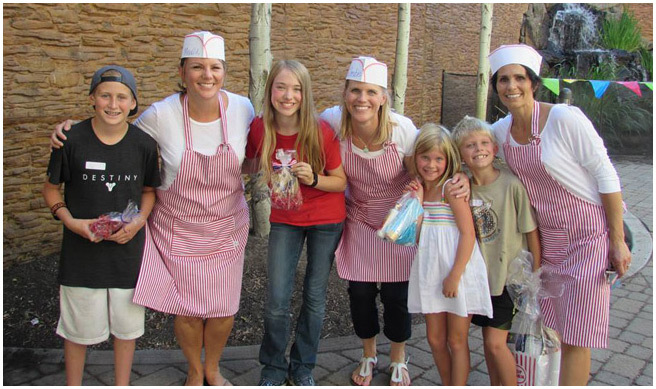 It was a beautiful sunny Bend day with good friends, fun games, lots of smiles--and delicious ice cream. We have the BEST patients and Team Struble truly appreciates your “patience” during this time! It’s amazing how much water is connected to your health. A lack of water can cause minor headaches and fatigue to full on dehydration. The benefits of drinking water are endless. After all, the human body is predominantly made up of water. In fact, fluoride, occurring naturally in foods and water, or added to the water supply, can be a powerful tool in fighting decay. It can reduce the rate of cavities by as much as 60 percent. Every day you lose water through your breath, perspiration, urine, and bowel movements. For your body to function properly, you must replenish its water supply by consuming beverages and foods that contain water. You can usually tell if you’re dehydrated by some telltale signs, like if your pee is yellow instead of clear, or if your muscles are cramping. So how much should you drink a day? 8 glasses? Half a gallon? 3 Hydroflasks? Here’s the truth: there’s no one-size-fits-all answer. It’s dependent on many different factors, like your age, height, weight, current health, environment, the weather...even your dog (not really). All complications aside, there is actually an easy and fairly accurate way to calculate what’s best for your own body. First, do a little math to figure out how much water your body needs at rest (like sitting in class, watching the new Minions movie, doing chores, etc.). This is the bare minimum requirement that your body needs to function. To find this, divide your body weight in half. For example, if you weigh 200 pounds, you would need 100 ounces of water per day if you weren’t doing anything strenuous. If you’re going to go hiking, biking, swimming, play some soccer (shout out to the US Women’s National Team! ), or anything active, especially in the sun and at high altitudes, recognize that you’re going to need to drink much more than those 100 ounces. There’s no clear-cut answer for how much water you should drink. But let’s be honest, most of us can probably stand to be drinking a little more each day, especially in these hot summer months. It’s all a part of being our healthiest, happiest selves! 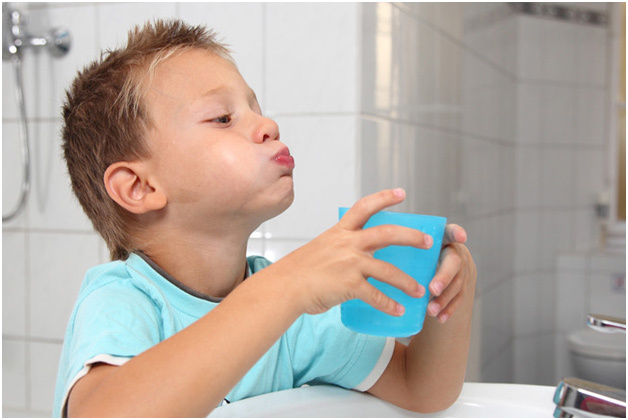 Give us a call at 541-848-6642 if you want to know more about how drinking water affects your dental health. Summer is here! It’s a busy time of year for everyone, with family vacations, sports, and fun events. 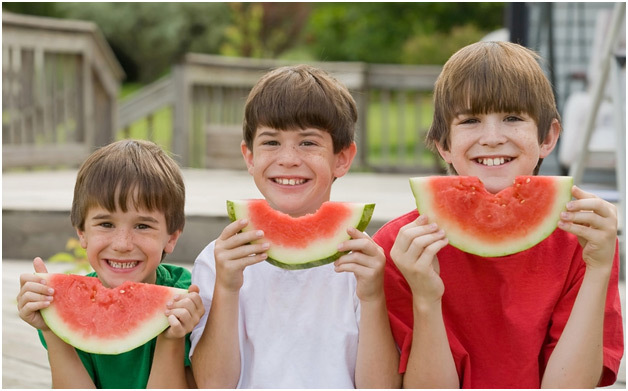 We’ve put together some tips to keep your braces and teeth in good shape so that you can make the most of your summer. Whether you’re going on a road trip to grandma’s or flying to a different country, there are a couple things to keep in mind before you travel. First, if you’re going to be gone for an extended period of time, make sure to schedule an appointment with us beforehand so that we can make sure your braces are in tip top shape. As for packing, make sure you have enough wax and bands to make it through the trip, in addition to your orthodontic hygiene kit and retainer case. That way, you can maintain good oral health even while on vacation. We always recommend mouthguards for any contact sport whether the patient has braces or not. There are special mouth guards you can buy for braces or we can make you a custom mouthguard if you would like. While sports like baseball are not always considered a contact sport, don’t forget there are times that your child may have to slide into a base or may collide with another fielder. We also recommend that the patients take their retainers out for all sports, contact and non contact. This includes swimming- the last thing we’d want is for your retainer to get lost in the pool! Also avoid leaving your retainer in hot places, like your car while at the beach. Prolonged exposure to heat can cause your retainer to shrink! Finally, always make sure to store your retainer in the case provided to you. Try to stay away from drinks that will stain your teeth like coffee, soft drinks or dark colored juices- Not only will drinks like this weaken your enamel but they will also darken that fabulous smile you’ve been working on! Try to keep a good teeth-brushing schedule, even if you’re busy. If you can’t fully brush your teeth after any meal, you can keep your mouth safe from staining and other possible pitfalls by swirling your mouth with water. If you have any questions or need to schedule an appointment, please let us know. Until then, have some fun in the sun this summer! 10 facts about Earth Day to get you inspired to celebrate! This year marks the 45th anniversary of Earth Day. Millions of people all around the world will participate in parades and marches, plant trees, collect garbage, clean up coral reefs, show movies, sign petitions, and plan for a better future for our planet. We encourage every single one of our patients and their families to participate, too! Here are some fun facts to get you ready. 1. The first Earth Day was celebrated on April 22, 1970. It originated in the US but became recognized worldwide by 1990. 2. On Earth Day 2012, more than 100,000 people rode bikes in China to reduce CO2 emissions and save fuel. 3. 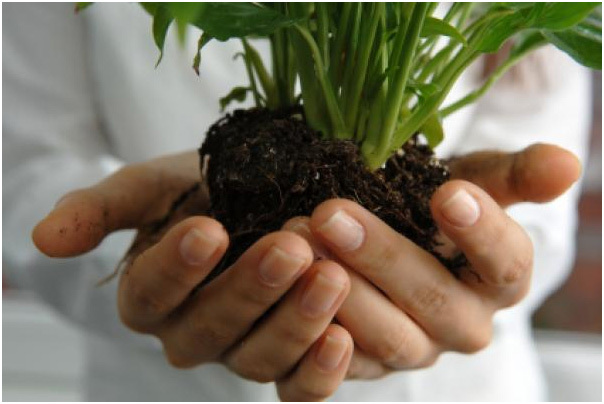 In an Earth Day celebration in 2011, 28 million trees were planted in Afghanistan by the Earth Day Network. 4. In Panama, 100 endangered species of orchids were planted and maintained to prevent their extinction in honor of Earth Day. 5. It takes 90% less energy to recycle aluminum cans than to make new ones. 6. Plastic bags and other plastic garbage thrown into the ocean kill as many as 1 million sea creatures every year. 7. The amount of wood and paper thrown away annually is enough to heat 50 million homes for 20 years. 8. Only 27% of newspapers in the U.S. are recycled. If they were all recycled it would save one quarter of a billion trees every year. 9. The energy we save when we recycle one glass bottle is enough to light a traditional light bulb for 4 hours. 10. The Pacific Island nation of Kiribati- one of the poorest places on Earth — was the first country to declare its land uninhabitable due to sea level rise from climate change, and has asked for help in evacuating its population. Most importantly of all, It’s up to YOU to save the planet! There are many things you can do today (and every day from now on) to celebrate Earth Day. Comment on our Facebook page and tell us what you’re doing to help the environment! So your dentist told you that you have to get braces to straighten out your teeth or bite. But how do they actually work? We’ll give you the run-through. Tooth movement is your body’s natural response to light pressure applied by braces over a certain period of time (typically about two years). Brackets are glued onto your teeth, and have small slots that hold the orthodontic wires. These are kept in place with small elastic ties that fit around the brackets. Each of your teeth has a different size and shape, so the brackets are custom-made for the particular tooth that they will go onto. As time passes, these wires apply pressure on your teeth, which sets in motion the movement of your teeth into their desired positions. When you first get your braces on, we start out with wires that are flexible, but still strong enough to apply a constant force on your teeth. 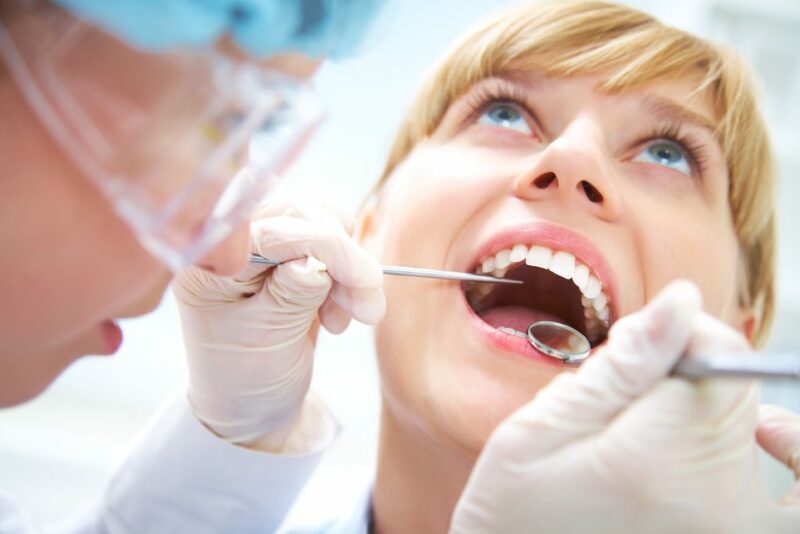 As your teeth straighten out over time, however, we use progressively thicker and firmer wires to help move your teeth in place for an ideal bite. Every time you visit our office for an adjustment, we swap out the wires in order to keep putting pressure on your teeth, which is why it’s so important for you to keep your adjustment visits during your treatment. Most adjustment appointments are scheduled four to eight weeks apart to give your teeth time to move. Most of our patients will need to wear elastics or rubber bands at some point during their treatments. 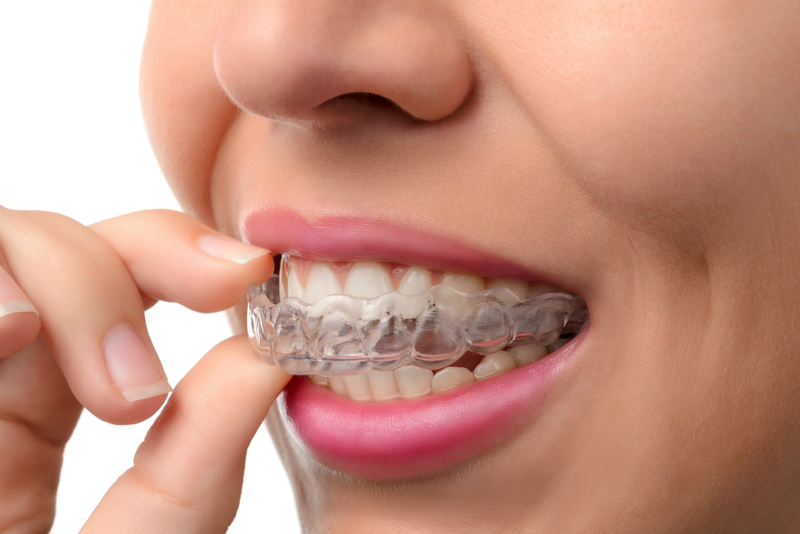 These elastics typically go from one or more of the upper braces to one or more of the lower braces, and pull on your teeth to move them in the direction they need to move in order to achieve an optimal bite. You’ll go through a few of these tightening, and before you know it--voila! You’ll have a straight, healthy, beautiful smile. 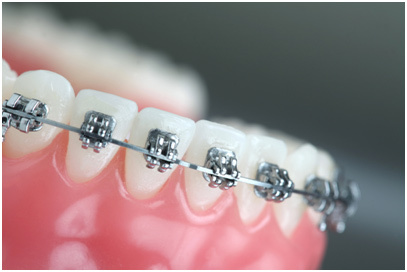 Not long ago, orthodontists had stainless steel wires and that was about it. Today, however, we have a number of different high-tech wires at our disposal to move your teeth faster and more comfortably. While the basic principle of how braces works remains the same, we have a number of different options to fit your specific needs. Give us a call at 541-848-6642 to schedule a complimentary consultation and see how our staff can work their magic on your smile. We’re about halfway through January. 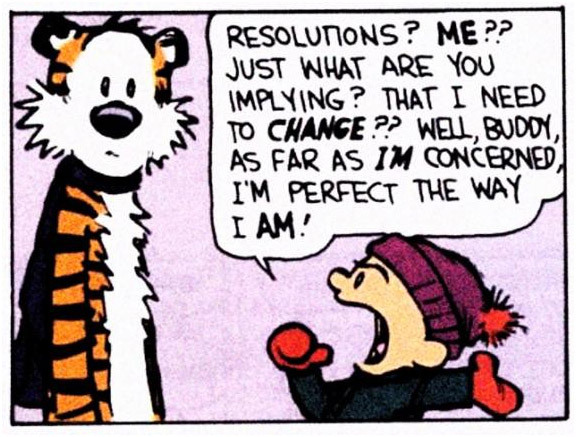 How is your New Years resolution coming along? Whether it’s to start a new diet, save money, or stop taking so many selfies, here are a few tips to help you keep on track. You’ve got this! Set short term goals for long term results. People who break their resolution into small, manageable chunks are more likely to achieve success. Use the buddy system. Everything is better with a friend! Find a walking buddy, or challenge a friend to see who can save more on groceries for a specific recipe and see who wins. Celebrate the little victories. But don’t choose something that goes against your goal, like eating a cake if you’re trying to lose weight. Treat yourself by picking something like a long relaxing bubble bath every week you reach your short term goal. Make your resolution about the journey, not the outcome. Research has shown that no matter what your resolution is, you’re already much more likely to make improvements than someone who hasn’t made a formal resolution. You’ll also have better success if you stick to goals you actually have control over. For example, it’s easier to make a conscious decision to work out and fill your plate with more veggies than to change a number on a scale. Don’t give up so easily. Many people throw in the towel after one little slip up. Instead, forgive yourself and move on. After all, January 1 is just one day out of 365. You have the power to start over whenever you want to! Is a new smile on your bucket list for 2015? Come in to Struble Orthodontics for a free consultation! That’s one more thing you can easily check off your to-do list for a happier, healthier you. Straight teeth contribute to a nicer smile, which helps boost self-esteem and a more positive self-image which can greatly affect an individual’s quality of life socially and professionally. Having straight teeth may be an obvious goal in orthodontics, but health factors such as the ability to properly clean and maintain teeth and gums should also play an important role in your decision to receive orthodontic treatment. Preventing future oral health problems now means your child won’t have to spend time and money correcting these issues later. Read on for the lesser-known benefits of braces besides having straight teeth! Crooked or crowded teeth may overlap each other and create tight spaces in between. This can make it difficult to brush and floss effectively, allowing bacteria and plaque to build up, and eventually leading to tooth decay and gum disease. It can also place you at a higher risk for developing periodontal disease during your lifetime, which has been linked to an increased risk of heart disease, stroke, high cholesterol, COPD, low birth weight/pre-term babies. → With orthodontic treatment, your teeth will become properly aligned and spaced, which allows for more effective brushing and decreased risk of disease. Your teeth play an essential role in speech. When they are out of line or lean too far forward or backward, this can affect your speaking patterns, and possibly cause embarrassment and frustration. 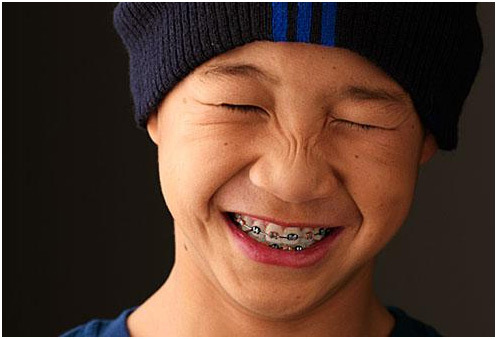 → Braces can readjust the positioning of the teeth allowing for clearer speech and giving a major confidence-booster! Bone and gum tissues begin to erode when there are no teeth to support. This is also true for poorly aligned teeth that leave gaps and spaces or place too much pressure on the jawbone due to a bad bite. TMJ (Temporomandibular Joint) disorders can occur from stress on the jaw joint when a person’s bite is off. More serious TMJ symptoms can include earaches, headaches, jaw pain, clicking or popping in the jaw joint, neck and shoulder pain and difficulty in biting or chewing. → With braces, the bones and tissues are less likely to erode and can continue to support the teeth in their new alignment. Additionally, when one’s bite is properly aligned, unnecessary wear or grinding of the teeth is prevented. Your teeth play an important role in digestion. Before food ever enters your stomach, it has been partially digested by the teeth. Digestion is one of the most vital roles your body performs and poor digestive health carries many health risks. If teeth are severely out of line, however, they may not play their role in breaking down food as effectively as they should. 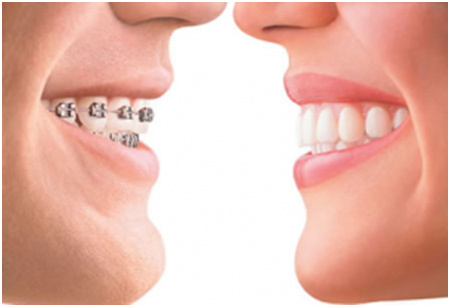 → With braces, your teeth will be straightened into optimal alignment for eating and chewing. For your body’s sake, health starts at the mouth. Correcting overbite, underbite, or overcrowding can help build confidence. Reducing pain and discomfort associated with these conditions can help you get a better night’s sleep, eat healthier foods (hopefully), and feel less stressed during the day. → Not only will you have a great smile, you will want to smile more often! Want to learn more about what Dr. Struble and the team can do for your smile? Schedule a complimentary consultation! We all know that breakfast is the most important meal of the day, but it can be a challenge at first to eat a balanced meal while adjusting to braces. A healthy breakfast provides energy and jump-starts metabolism. The good news is that once you find the right foods, it’s not so bad. We have some tried and true breakfast ideas to help make the transition easier to start your day off right! Scrambled eggs are soft and easy to eat. Adding ketchup can make the eggs even tastier, especially for kids. Minimal chewing is required, and that’s the key to a braces-friendly recipe. A smoothie is not only a good source of fruit, but it’s also gentle on braces. More importantly, smoothies are fun to make. You can toss anything in the blender (bananas, mangoes, strawberries, spinach) and create a drink that’s loaded with vitamins and antioxidants. Substitute oatmeal for crunchy cereal. If you wear braces, eating crunchy cereals or granola for breakfast is risky: Bite down the wrong way and you could snap the wires or dislodge the brackets. You can still get your grains by having oatmeal. It’s healthy, delicious and easy on your appliance. Try adding rainbow sprinkles if your child has a sweet tooth. Pancakes are a Sunday morning favorite, AND they’re braces-friendly. Make it healthier by hiding blueberries in the pancake batter. Toast with jam is ok, but skip the peanut butter or go for creamy. 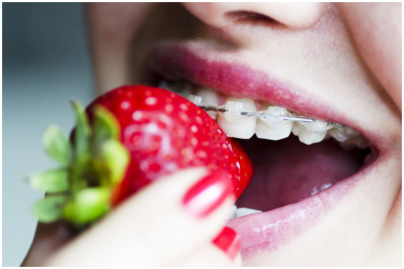 If you have braces, the general rule of thumb is to steer clear of foods that are hard or chewy. These types of foods can break wires. Experiment with other soft toppings to mix up your mornings! Yogurt is always a good idea. Add in some fruit and honey or agave and you’ve got yourself a healthy breakfast! With a little bit of creativity, eating breakfast with braces suddenly doesn’t seem that hard. Call us at 541-848-6642 for more suggestions or schedule a complimentary consultation with us! We brush them, floss them, smile with them, chew, crunch, and munch with them. There’s even a fairy for them. Our teeth are an essential part of our daily lives, and yet there’s a lot that we don’t know about them. So we’ve compiled a list of facts about teeth. How many do you know? An average American spends 38.5 total days brushing teeth over a lifetime. Teeth are made out of calcium, mineral salts and phosphorus. While The Academy of General Dentistry recommends that the average person brush for 2-3 minutes, most people only brush for 45 to 70 seconds a day. The second most common disease in the United States is tooth decay. The first is the common cold. The average human produces 25,000 quarts of saliva in a lifetime. That is enough saliva to fill 2 swimming pools! An Elephant's tooth can weigh over 6 pounds and measures one foot across. The average person spends 38 days brushing their teeth during their lifetime. One third of your teeth are underneath your gums. We buy 14 million gallons of toothpaste every year. 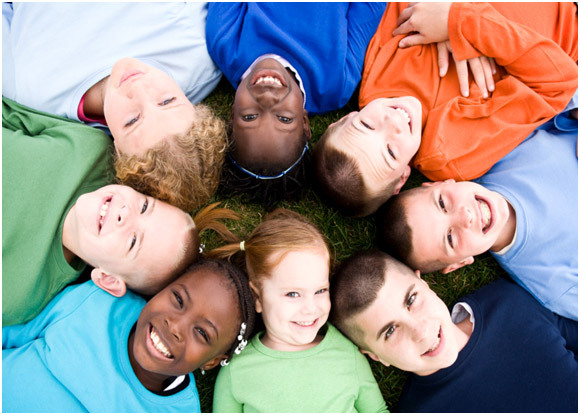 More than 51 million school hours are lost each year due to dental related illness in children. Do you want to know more about the health of your teeth? Call or click to schedule a free consultation with Dr. Struble at 541-848-6642. Smiling makes you look younger, more attractive, and is associated with being trustworthy. Smiling also has the power to boost your mood and improve your overall happiness. Smiling helps the body relax, which allows the immune system to react more quickly and effectively against invaders. People who smile more are less likely to develop heart disease. When you smile, it also lowers your blood pressure and increases endorphins. Numerous medical studies have found that smiling lowers your heart rate, steadies your breathing, and relaxes your body, all of which contribute to a stronger immune system. Smiling releases endorphins that counteract and diminish stress hormones. Endorphins can also put you in a better mood. Psychologists have found that if you grin for 60 seconds, it releases serotonin that tricks the body into making you feel happy again. So if you’re feeling down, smile! Even if it isn’t genuine at first, it can still turn your day around. It also gives you a natural high: a loving smile can produce the same emotional response as eating 2,000 chocolate bars! Smiling can make people look more attractive. It naturally lifts the face for a youthful look of three years younger on average. Psychological research has shown that attractive people are perceived as more successful, intelligent, and friendly. If you are smiling, you are three times more likely to be remembered than an individual who is displaying negative or neutral features. Studies also show that we are more trustful of others when they smile genuinely. Studies report that seeing just one person smiling activates the area of your brain that controls your facial movement, causing you to grin. So when you smile, you’re sharing the health benefits with those around you! When you are smiling, it’s difficult not to be positive. And a positive attitude has been shown to increase life expectancy. In fact, people who smile often can live around seven years longer than others do. Smiling is an important part of your health. Give us a call at 541-848-6642 to schedule a free consultation and see what we can do for your smile! 5 braces hacks everyone should know. We do our best to make your orthodontics experience as painless as possible. But mini (and not so mini) emergencies are inevitable. When something unexpected happens that damages your appliance or mouth, give us a call at 541-848-6642 so we can get everything straightened out. 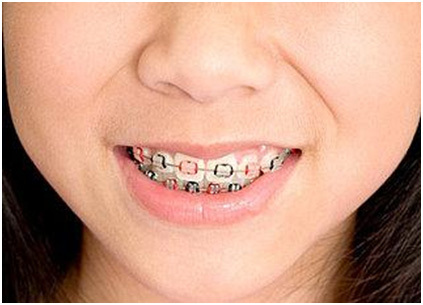 Until then, take note of these 5 tips and tricks to help make life with braces easier! 1. Wax is your best friend. If you have a loose bracket, band, wire, or appliance, you could end up making it worse if you try to fix it yourself. It’s best to just cover the sharp end with wax and call us to determine if you should come in for a repair visit or if you can manage on your own. If you don’t have any wax, try using a pencil eraser. Just make sure it’s clean! 2. If you have hooks, wear rubber bands all the time (besides when you’re eating and brushing your teeth.) It will stop the hooks from digging into or getting caught on your cheeks--not to mention, it will make your treatment progress faster. 3. 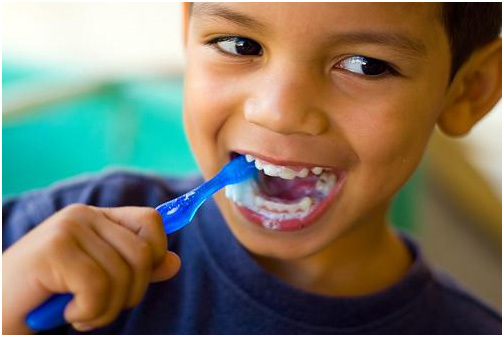 Make a kit with a toothbrush, toothpaste, floss, wax, and lip balm to access in between meals and throughout the day. That way if something happens on the go, you’ll be prepared. 4. Is your mouth sore? Are your teeth hurting? A quick and easy household remedy is a saltwater solution. Dissolve one teaspoon of salt in warm water and rinse your mouth vigorously. Other options include taking aspirin and placing Orabase on the affected area, both of which can be found at your local pharmacy. 5. Smile! Even if you’re self-conscious about your braces, it’s important to keep smiling. People tend to notice your mouth more when it looks like you’re trying to hide something. Braces are very common, so there’s no reason to keep them hidden. We hope these help you out! For more tips, check out our blog post on "Learning to Love Your Braces". Our patients ask us this question all the time. And as excited as we are about braces, we understand that you are just itching to see your beautiful smile underneath! 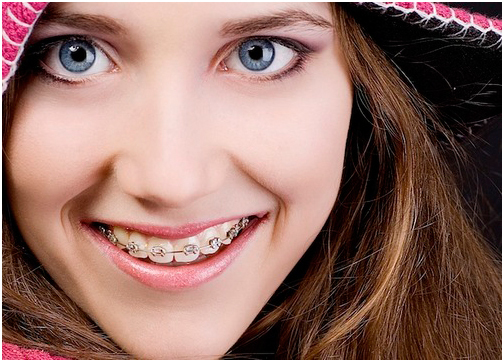 The average wear time for braces is 1-3 years, but varies significantly depending on each wearer. In more difficult cases, it can take almost 6 years for braces to be removed. Although we can’t magically speed up the process, we can give you insight into the science behind the treatment and factors that help decrease your time in braces. You look in the mirror after a few months of wearing braces and your teeth are looking pretty straight. So that means you’re done, right? But orthodontics isn’t just about straight teeth. The ultimate goal of good orthodontic treatment is a healthy bite that lasts a lifetime and a beautiful smile to go with it. Most patients will see major changes in their appearance in the first six months of treatment. This is because the first objective after the initial placement of the braces is to uncrowd the teeth or close spaces, depending on the problem. After that, the changes aren’t as noticeable as they are primarily bite-related. Although your teeth might look straight, it is important that the upper and lower jaws fit together correctly, too. Think of your bite as a gear: if you align and straighten the teeth and jaws early on, you can prevent premature wear and tear of your bite in the future. Like our Facebook page for more lifestyle tips like these! Many factors affect how long it will take before we can remove your braces and reveal those pearly whites. Some are out of our control, like the severity of the bite problem requiring attention. We also consider our patient’s age, the distance and location of wayward teeth, and the growth and tissue’s response to treatment. Some factors are in the hands of Dr. Struble and her team, or the patients themselves. 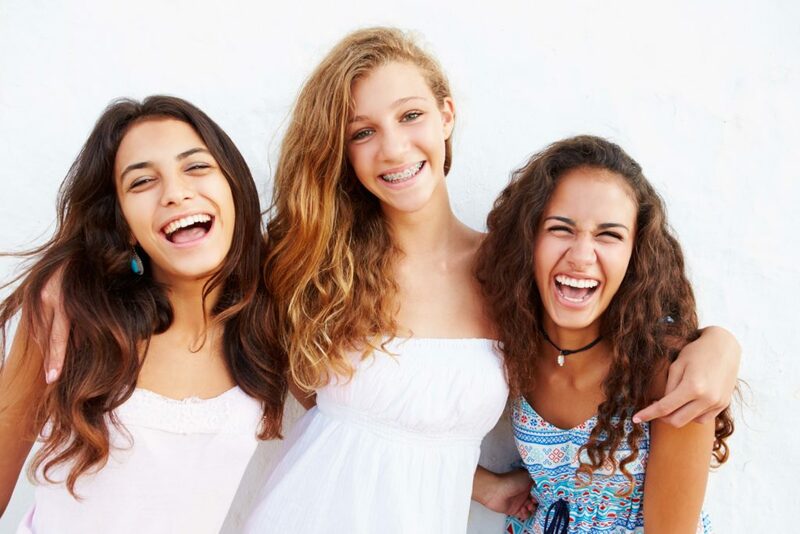 We are experts in the treatment plan and the use of proper orthodontic technique. On your part, showing up on time for appointments and taking care of your appliances is crucial. So if you really want your braces gone, hold off on the Starbursts, peanuts, and corn on the cob! The state and health of the teeth and gums are also important, so make sure you’ve been brushing and flossing thoroughly. Also, proper use of retainers after races prevents your teeth from heading back to where they came from. That means if you have to take your retainer out before your first kiss, then so be it. Just make sure you put it back in! Schedule a complimentary consultation, and we can get you on your way to a healthy, beautiful smile in no time (or 1-3 years, to be more exact). Experience the Struble Orthodontics Office Tour! Welcome to Struble Orthodontics! We like every patient to feel at home with us as they experience the best views and orthodontic care that Central Oregon has to offer! First things first, follow the link to the office tour video and take a look around. We know how much you’ll love what you see! Let our warm and inviting office staff greet you as you approach the front desk. They will be the first to welcome you into our comfortable waiting rooms and treatment areas. Our free WiFi and video gaming center ensures your family will stay connected to all the technologies that mean the most to you. This is the perfect location to catch up on the latest issue of your favorite magazine, or to browse the web as you wait. 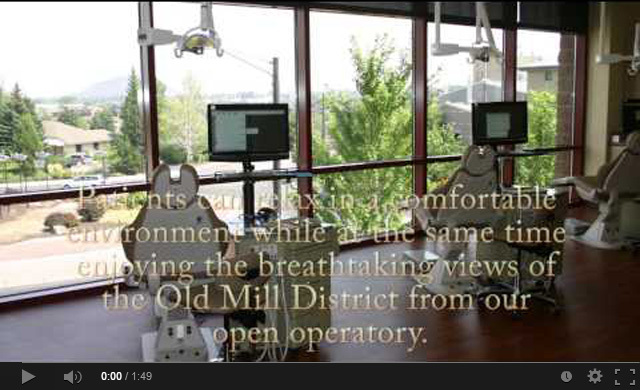 Follow us through our treatment center to experience breathtaking views of the Old Mill District from our open operatory, where patients receive the best and safest techniques in orthodontic care. Even take a stroll past our “Smile Board” where the photos of patient success stories live, and of course, help yourself to some complimentary fresh brewed coffee! We hope to make every visit to our practice a pleasant, relaxing experience. We understand your need to receive treatment in a setting where you feel comfortable, safe, and welcome. Please feel free to schedule an appointment with us, or stop by for a complete tour of our practice in person to learn more about the treatments we provide! 5 fun facts about Dr. Struble! She puts wires on your teeth, gives you wax and rubber bands, and tells you not to eat your favorite hard candies for the next few months. But there is a lot you may not know about the Dr. Struble you see during your routine braces checkup. Here are 5 more reasons to love the woman behind the beautiful smiles and our practice! 1. Dr. Struble’s family moved to Bend from North Dakota when she was 4, which means she has called Bend home for more than 20 years. Now that’s a true local! 2. Not only is she a healthcare practitioner, but she is also a business owner, volleyball coach, and parent, which makes for one hectic but fulfilling schedule. 3. She played volleyball for Mountain View High School and Willamette University, where she earned her place in the starting lineup as a freshman in 1998. She now coaches volleyball at Summit High School to give something back for all that she has gained from her own high school sports experience. Her 2-year-old daughter Taylor comes to many of their practices and is their biggest fan! 4. Dr. Struble is active! She grew up windsurfing, biking, hiking and taking mountain excursions with her dad each year. 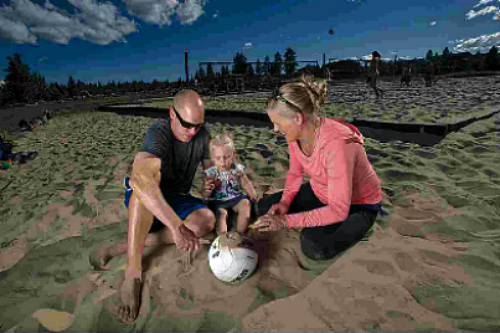 Volleyball is still her favorite pastime, but she also enjoys being active with her daughter in tow, whether jogging with a stroller or skate skiing with a chariot. Talk about a workout! 5. Being an orthodontist is hard work and it also takes a toll physically. That’s why Dr. Struble makes a point of squeezing exercise into her busy schedule. She keeps her cardio and fitness up to maintain good muscle posture for her job and to ensure she can continue doing what she loves most as an orthodontist! Leave a comment on our Facebook page and tell us what you love most about Dr. Struble! At Struble Orthodontics, we pride ourselves on using the latest technology and the best techniques available. Did you know that the practice of orthodontics dates to the time of Aristotle and Hippocrates? The first documented methods for straightening teeth emerged between 400 and 300 BC. Around the same time period, archaeologists have discovered mummified remains in Italy with metal bands and gold wire wrapped around the teeth, along with documentation on the wire’s use as a dental device. It wasn't until the eighteenth century that the father of modern dentistry, Frenchman Pierre Fauchard, published a book that described various methods for straightening teeth. 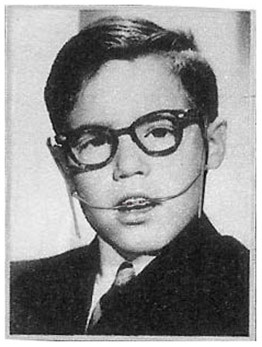 He used a device called a “blandeau” to widen the upper palate. Orthodontics emerged as a dental specialty during the early nineteenth century. The first wire crib used in 1819 marked the beginning of modern orthodontics. Materials used during this time period included gold, silver, platinum, steel, gum rubber, vulcanize, ivory, zinc, copper, brass, and occasionally even wood. Can you imagine getting splinters from your braces? Ouch. Are you wearing braces now? 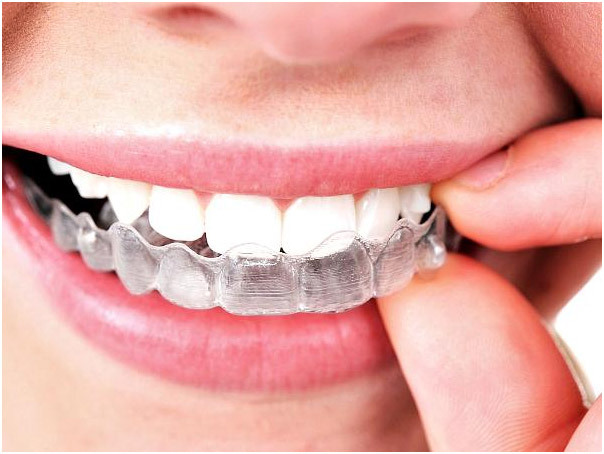 See our Life with Braces page for tips and suggestions on treating your appliance right! In the 1900s, Edward Angle developed the first classification system for malocclusion (misaligned teeth) that is still in use today. He also founded the American Society of Orthodontists in 1901, a society which Dr. Blair Struble belongs to. And about 50 years ago, gold was universally abandoned in favor of stainless steel. Bye bye grills! Orthodontic treatment has come a long way since the days of Aristotle, and it is one of the fastest evolving and exciting areas of dentistry. It continues to improve each year to make your orthodontic experience as effective, efficient, and comfortable as possible. 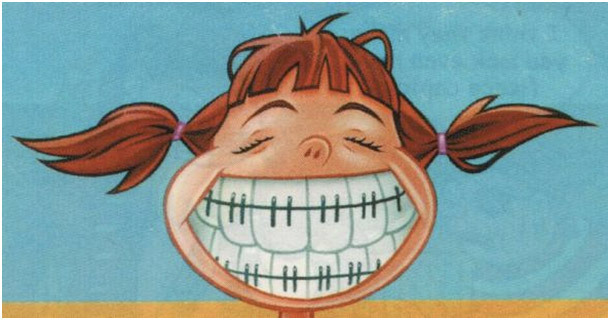 Some things in life are out of your control, like discovering that Safeway ran out of your favorite chewy candies right after finally getting your braces off, or finding out that Dr. Struble can’t offer you hot pink braces with kitties on them. Both are disappointing circumstances, but there was nothing you could’ve done to avoid them. On the other hand, there are things you can prevent from happening. Like breaking a tooth on hard candy you knew not to chew, or learning the importance of wearing your retainer, after your second set of braces! Precautions are precautions for a reason. At Struble Orthodontics, we know that early prevention is the key to avoiding undesirable and potentially costly situations later on down the road. That’s why we offer complimentary consultations to all of our patients, and early orthodontic treatment to our youngest patients. The American Association of Orthodontics recommends that children see an orthodontist as early as age seven. We consider age 7 the magic number for early prevention! 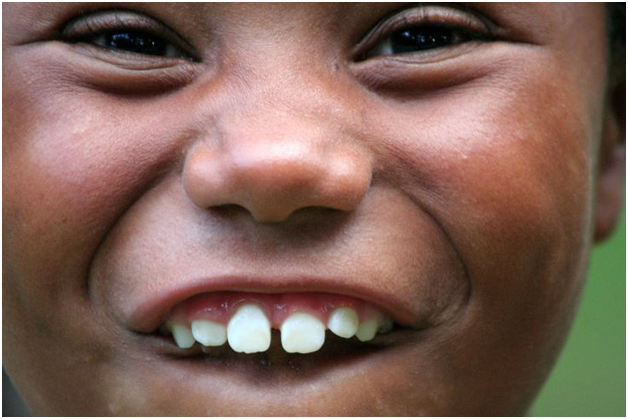 Most children lose all their teeth by age 13. After this point, the jawbones harden and stop growing, causing orthodontic procedures to take more time and often creating a need for tooth extraction or oral surgery. Receiving orthodontic treatment as a child can help prevent the need for orthodontics as an adult, leaving little to no need for extraction or surgery in the years to come. Early prevention can correct the growth of the jaw and certain bite problems and make room for permanent teeth to come in properly. This lessens the chance of extractions, thereby saving you time, money and grief in the future. If your child is between the ages of 7 and 8 and shows signs of needing early orthodontic care, please contact our practice so we can take the next steps in caring for your child’s smile. Then we’ll talk about the hot pink braces with kittens on them! 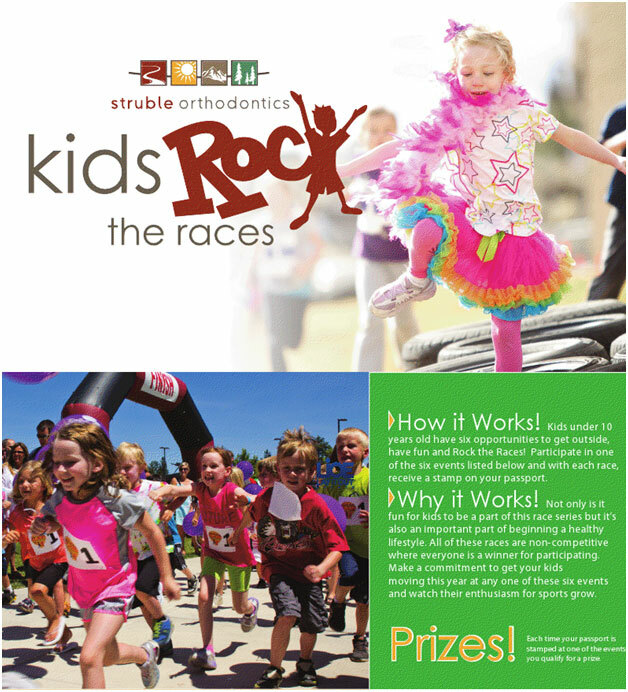 Kids Rock the Races: A Dynamic Local Event! There is no better time than summer in Bend for helping your child discover a love for sports! Lay It Out Events is sponsoring a great opportunity for children under 10 years old to discover their “inner athlete” with a safe and kid-friendly series of summer events: Kids Rock the Races! These five age-appropriate races from May through the end of July are offered alongside several local athletic events, the first of which is the Salmon Run on May 4th. Struble Orthodontics loves to give away free stuff. That’s why we’re partnering with Lay It Out Events to offer free kid’s registration passes for the races (a $10 value) while supplies last! We hope to see many of our patients showing off their beautiful smiles as they cross the finish line. Pick your race here and register, or stop by on your next appointment and pick one up. Like our Facebook page to see additional special offers! Win fun prizes by entering the race! The races are non-competitive and feature a kid’s passport, qualifying your child for a prize each time their passport is stamped at one of the events. Help your child develop an active and healthy lifestyle, while building friendships at the same time. This affordable event is the perfect opportunity to get the whole family outdoors to enjoy the beautiful weather. We hope to see you there! We like to think that you’ll love every minute of wearing your braces. But it’s no secret that there are sacrifices to make before revealing the sparkling, healthy teeth hiding behind those wires. Proper care for your braces will allow you to get them off sooner, and with less grief throughout the process. To avoid damaging your new appliances, you might need a loved one to lock up your Cool Ranch Doritos or that Costco pack of red licorice. Basically if it’s chewy, crunchy, sticky, hard, or requires biting into, stay away! But don’t worry; you’ll be snacking on your favorite foods in no time. And the good news is, there are plenty of foods that you CAN eat with braces to hold you over—including ice cream and cake. See? It can’t be that bad. Even though you might have to change your diet a little, braces don’t have to stop you from playing sports. However, it is recommended that you wear a mouth guard to protect your teeth and your appliance. In case of an emergency, always check your mouth for damage and contact us. When you first get your braces, your mouth might feel a little tender or sore. Not to worry! We have a super advanced solution to ease the pain: saltwater. Just dissolve one teaspoon of salt in eight ounces of lukewarm water, swish (don’t swallow) in your mouth for a couple of minutes, and voila! If this doesn't quite do it for you, pain relievers and wax can lessen the tenderness too. Also pay attention to looseness. If it’s your teeth, that’s normal (that just means the braces are doing their job right so that your teeth can move into position). But if it’s your wires and bands, make sure you contact the office as soon as possible so we can get everything straightened out (pun intended). Finally, keep in mind that those pearly whites can only be corrected properly if you follow all the instructions Dr. Struble provides. We know wires, rubber bands, and retainers maybe aren’t the most fashionable, but your beautiful new smile will be! It’s time for your child’s first trip to the dentist. Are they nervous? Most experts recommend that a child makes their first trip to the dentist just before their full set of teeth comes in. Bringing your kids to the dentist early on is an important way to establish healthy habits in oral hygiene. As many trips as you take to the dentist, however, it may not get any easier on the kids. A visit to a dentist’s office can be intimidating to a child, especially when they have never spent any time at one. Unfamiliar faces and places—especially when dental tools are involved—seem big and scary to little eyes. 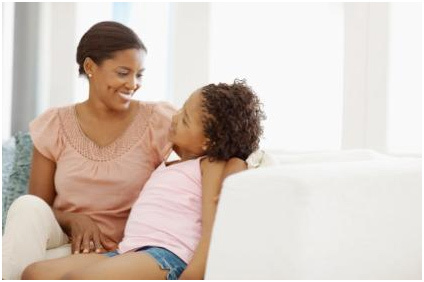 For parents and guardians who are looking to help ease the discomfort, especially for a first-time visit, we have a few tips especially for you. If it helps, some parents like to play pretend dentist with their children. Give your child a toothbrush and a mirror and have them check out the teeth of their favorite doll or stuffed animal. Reading them picture books about going to the dentist also engages your child and reinforces a positive attitude. Remind your child that trips to the dentist are beneficial to them. Always offer your encouragement, especially if they feel uneasy or resistant. Finally, relax. Dentists and their assistants have plenty of experience dealing with children and their fears, so they usually know how to handle a variety of situations. It’s an unexpected kit, but certainly a useful one. 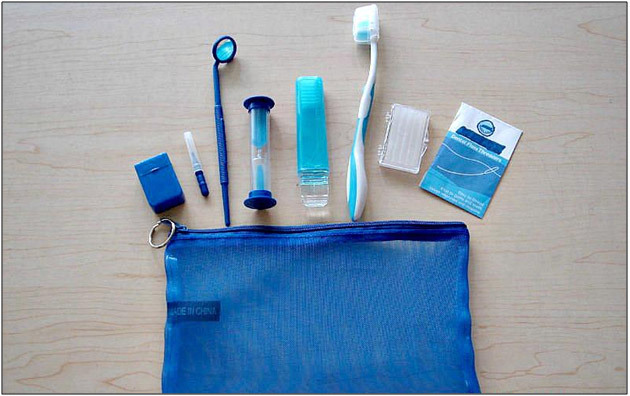 It’s called an emergency dental kit, and they are designed as a temporary fix for common dental emergencies. These kits are easily put together and can fit alongside your home First Aid kit in your home closet or bathroom. The best part about your dental emergency kit is that all of these items can be found at the local pharmacy. So, what should go in your kit? General antibiotics and Ibuprofen act as a staple for toothaches and mouth pain. Table salt packets can clean an open wound or sore in the mouth. An anesthetic containing Benzocaine will also offer relief from irritation and cold sores on your lips, tongue and cheek. For tooth pain, you can also find toothache drops. Apply directly to the tooth and it should ease the pain temporarily. Irritation from sharp wires from braces can be deflected by cotton balls or beeswax, which can provide a barrier until you can see your dentist. Lastly, a clean cloth and gauze should be in your kit in case of bleeding. You can put together your own custom dental emergency kit yourself just by visiting your local pharmacy, or you can find a few online—Emergency Dental Kit was designed by a dentist and has supplies in case of common injuries. These include broken fillings, loose crowns, toothaches, tooth splinting and more. Keep in mind, however, that this kit is simply meant as a temporary aid until you can visit your dentist to fix the root of the problem. For true medical emergencies, see your doctor right away. Enjoy putting your dental kit together for your own home! Hi and WELCOME! We are so glad you are here visiting us. We are busy at Struble Orthodontics. Currently we are sharing office space with our good friends Drs. Steve + Stephanie Christensen at Deschutes Pediatric Dentistry while we complete the construction of our new state of the art office in the heart of Bend. 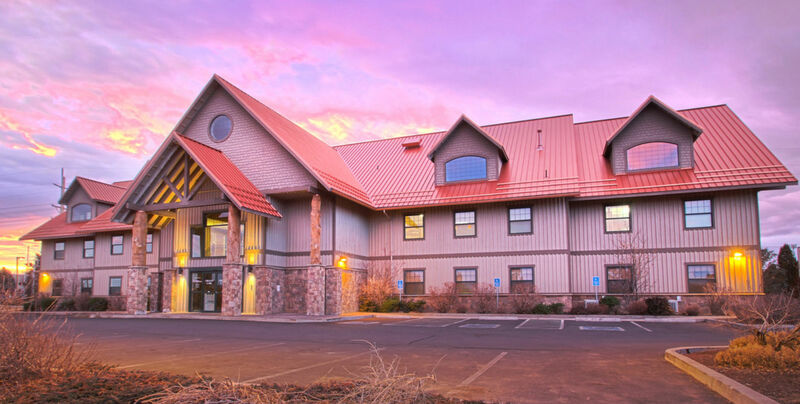 The new office will be located in the beautiful Point Building at 929 SW Simpson Ave., Suite 201. We are proud to be working with a local Bend business that has been here for years, Kirby Nagelhout Construction. With their help, we secured permits this month and are breaking ground in July. October is our completion date. And then, drum roll please…Struble Orthodontics will have its own home. 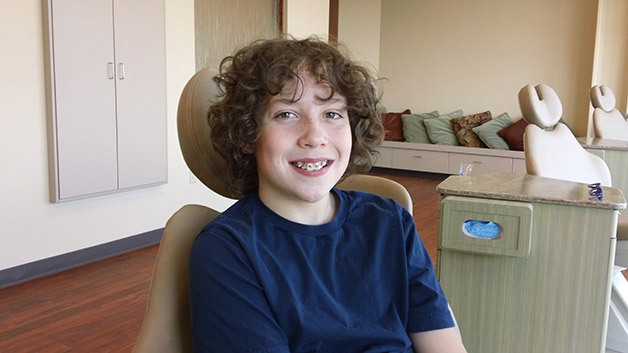 A home that makes our patients feel comfortable and welcomed and provides the most technically advanced environment to provide our patients with the best orthodontic care. Every detail is being considered for the comfort of our patients-even the faucets in the bathroom. We also just launched our website with great tools to make it easy for our patients to communicate with our practice. Our patients can email the staff and doctors, schedule an appointment, access your account, get new patient forms, provide a testimonial, and refer a friend. You can also learn more about our practice at our website www.strubleortho.com, our Facebook page www.facebook.com/StrubleOrthodontics, or our Google+ page plus.google.com/111303176339730085637. Join our community to stay connected, like us on Facebook and add our practice to your circle on Google+. Also, if you have something to say about your experience at Struble Orthodontics share it with us on one of our above community pages. We are accepting new patients. If you or a friend are in need of orthodontic care please visit our website-www.strubleortho.com or give us a call (541) 848-6642.